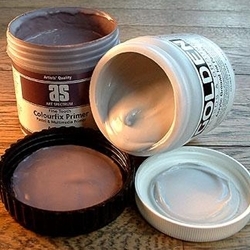 These two primers are made so that you can add a sanded pastel surface to any paper or board. Simply paint one of these primers onto your working surface! Both are acrylic based.